You’ve been offered a new role or returnship, you’ve updated your wardrobe and sorted out your household – but you might still be full of uncertainties and doubts about how you will actually perform and be effective. With a returnship you have 10-12 weeks to demonstrate your value to your potential future employer. With a permanent role, you feel the pressure to establish yourself quickly as a contributor. At the same time, it is essential that you return to work with realistic ideas about what you can expect to achieve in your first weeks and months. By having clear goals you will find it easier to focus your energy on those aspects of your working life which will have the biggest positive impact for you and your employer. The biggest pitfalls for returners occur when they become caught up in the need to prove themselves in every way (to their employer or colleagues) or to please everyone (at home and at work) which can quickly lead to exhaustion and resentment. A realistic assessment of what is possible for you to achieve can help to minimise the risk of falling into these traps. Think about the tangible and measurable business requirements that you will be working on in your first three months. Hopefully through the interview process you should have developed an idea of what the organisation expects of you. You will need to clarify these expectations and to shape them into specific and tangible results. This will demonstrate your competence to your colleagues and in doing so will help you to build your confidence and credibility in your role. Very early on, you will need to check your view of what goals are important with your manager’s expectations, to ensure that you are aligned with each other. You will also want to build into your goals, opportunities for quick results that will enhance your reputation as someone who delivers. As a returner, you won’t necessarily have as much time for social interaction with your colleagues as you might wish, so it is important to identify those people with whom it is essential to build rapport and concentrate your time and energy on these relationships. If you are new to the organisation and don't have an established network, you may need some guidance from your line manager on the key people for you to meet and connect with early on. You will need to be smarter about how you start to build these relationships too, as you might not feel able to go out for drinks after work or for longer lunch breaks. Being new, or recently returned, gives you a perfect excuse to introduce yourself to people and to ask for their advice and their views on your priorities (even if you don’t agree with them!). And do try to organise your home-life so that you make it to a few social events, as this is a great opportunity to get to know your colleagues on a more personal level. Having a break from the workplace can give you the space to reflect on your strengths, values and priorities and you can return to work feeling much clearer about how you wish to be known in the workplace. With clarity on your strengths and values you can work out how to bring these to life in your new role. How can you demonstrate your 'personal brand' as you work towards achieving the goals you have set and start building new relationships? What will your priorities be? And just as importantly, what will you let go of? Starting a new role is an ideal time to establish sustainable working patterns. By thinking through in advance how you wish to work you can protect yourself from being drawn into the need to prove yourself or to please everyone. Ways of working includes considering whether you will work beyond the standard hours, either at home or in the office and if so, how often. And if you are working flexibly, how far does that flexibility extend? How prepared are you to keep in touch (by email or phone) or attend meetings outside your agreed work time? Everyone will have a different view of their personal boundaries, but it is important to define what yours are and communicate them clearly. At the same time, your employer is likely to meet your willingness to be flexible with a similar response. Finally, the key to making your return to work a success for you, your employer and your family is to make sure that you keep time for yourself to recharge your batteries. Not only will you feel better for it, but you will have more energy for your work and your family if you can allow yourself the time that you need. 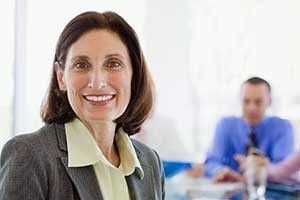 If you would like some help with thinking through your return to work approach, Women Returners is now offering a Preparing for your Return coaching package which will enable you to clarify your goals and create a plan of action.